Professor Elliott, a protégé of Janos Starker and of Frank Miller, won the Feuermann International Cello Solo Competition, which was followed by a highly successful New York recital. 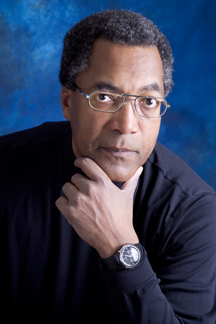 Mr. Elliott has given master classes at most leading American conservatories. He is a frequent soloist with major orchestras, including those of Detroit, Minnesota, Vancouver, CBC Toronto, and the New York Philharmonic. His compact disc of Kabalevsky, Martinu, and Shostakovich sonatas received a rave review from Strad Magazine of London and was named a Best Buy of 1991 by the Houston Post. Forthcoming releases include works by French and Russian composers. In demand as a chamber musician, Mr. Elliott has been a guest artist at the Sitka (Alaska) Summer Music Festival, the Seattle and Texas chamber music festivals, New York's Blossom Music Festival, Houston's Da Camera Series and the Victoria International Festival. He has performed as a member of Quartet Canada and as a guest artist with the Brunswick, Lyric Art, and Concord string quartets. He devotes his summers to teaching and performing at the Aspen Music Festival and School. Anthony Elliott's music is available for purchase from the iTunes Music Store. Previews of all selections are also available in the BlockM Records catalog.